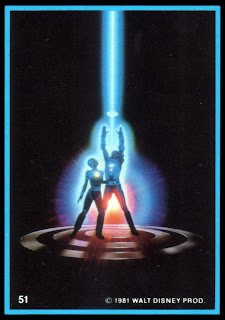 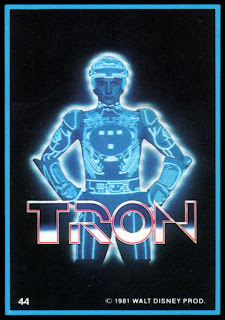 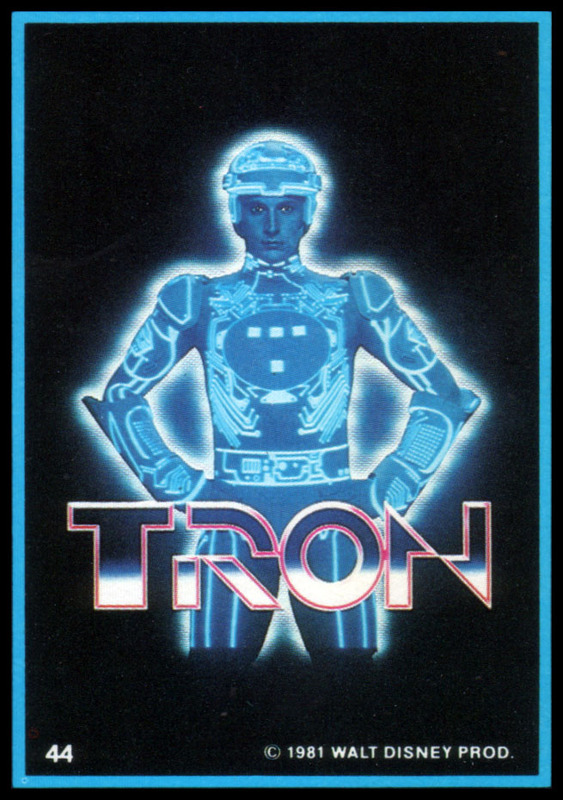 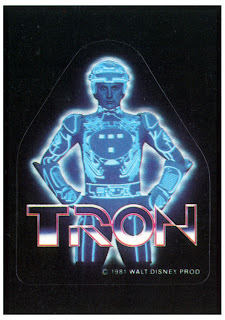 Tron Sticker #3, "Tron MCP Level of the Video Game"
The Bruce Boxleitner as Tron picture sticker. 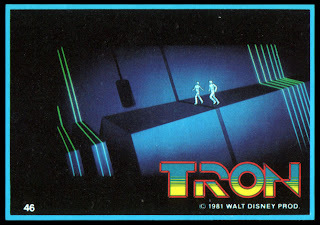 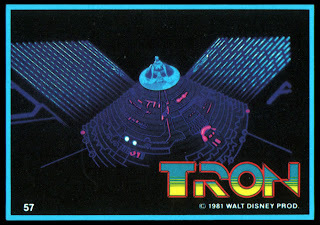 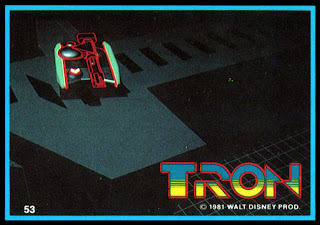 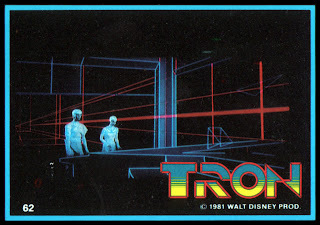 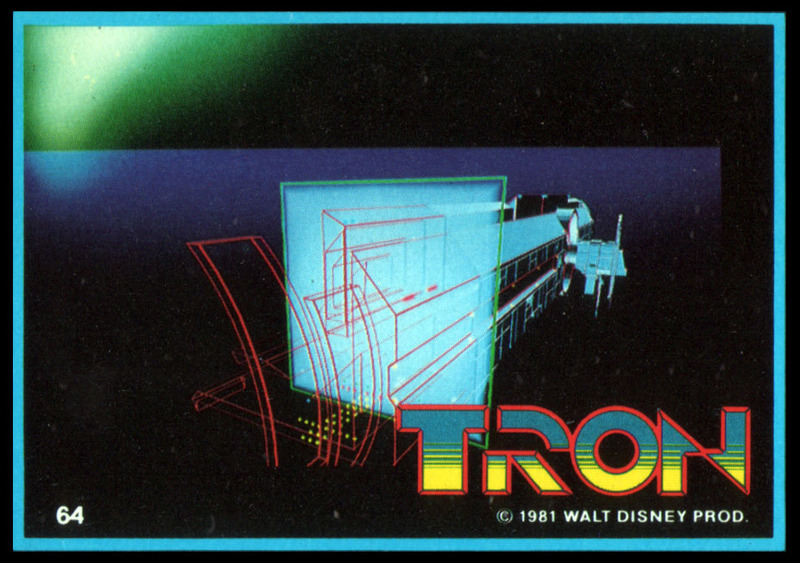 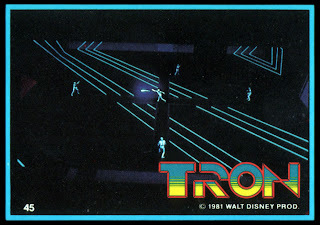 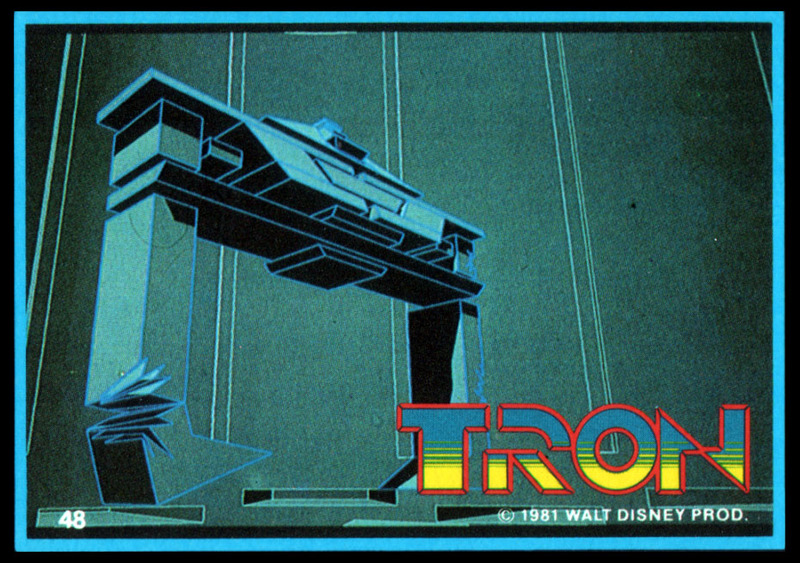 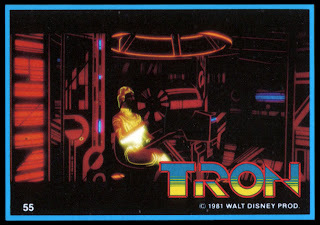 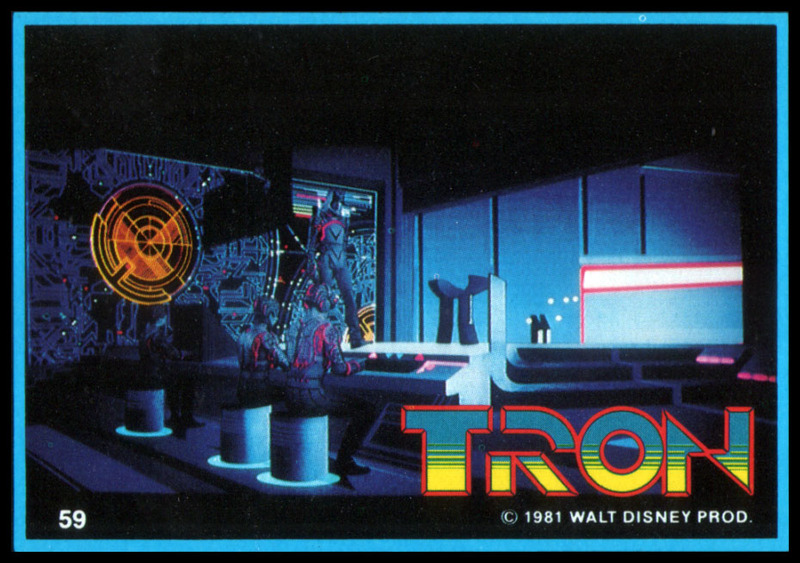 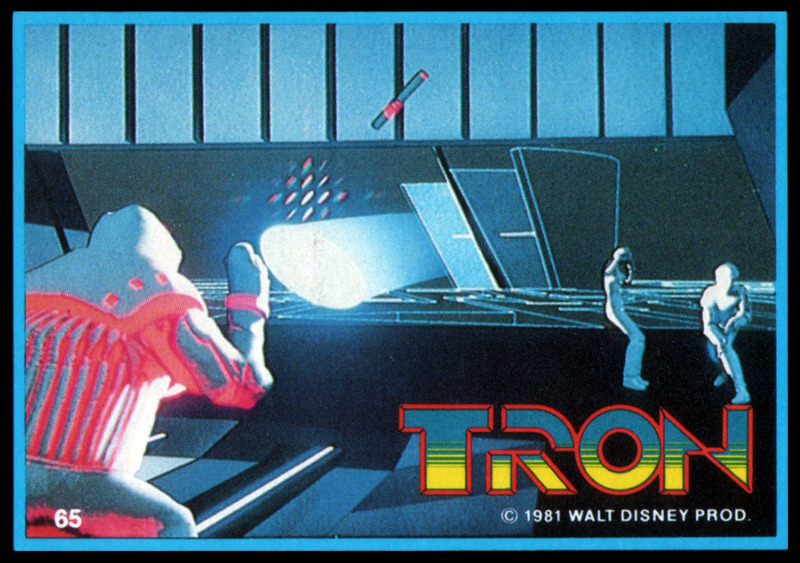 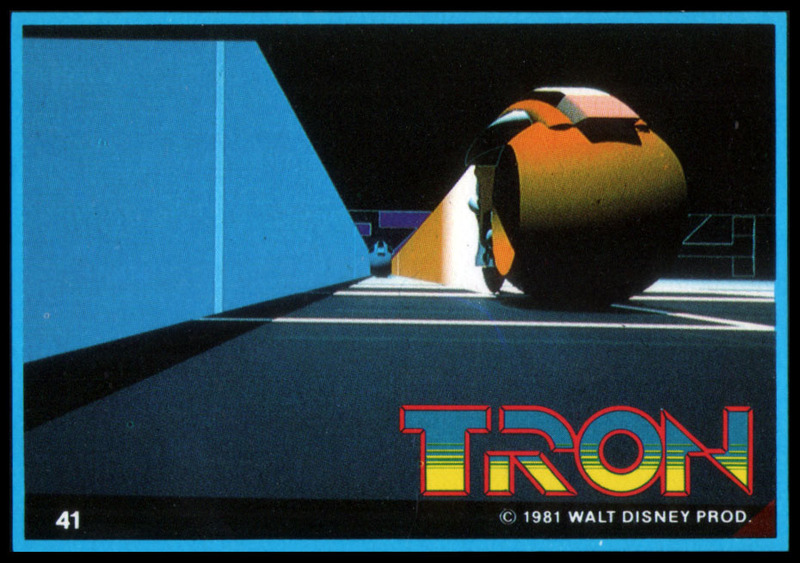 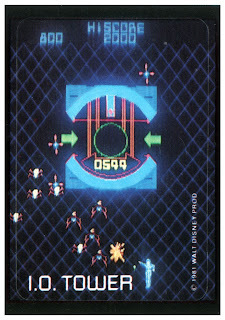 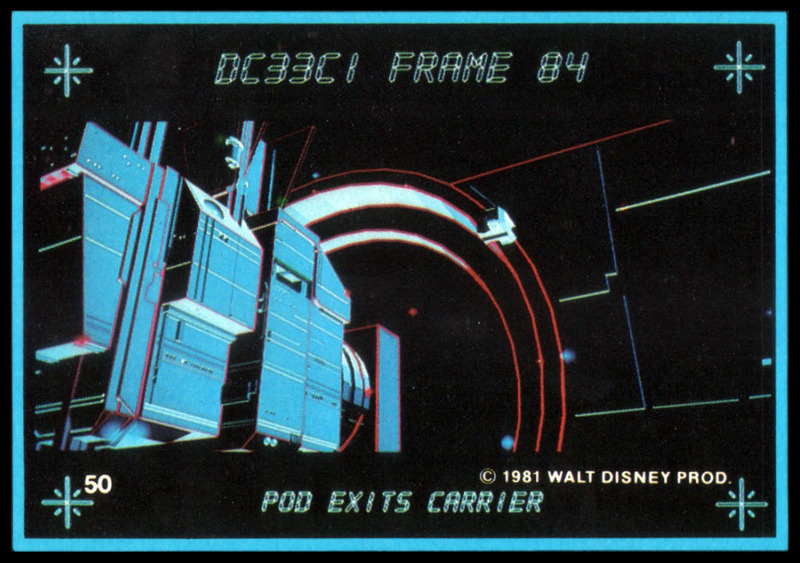 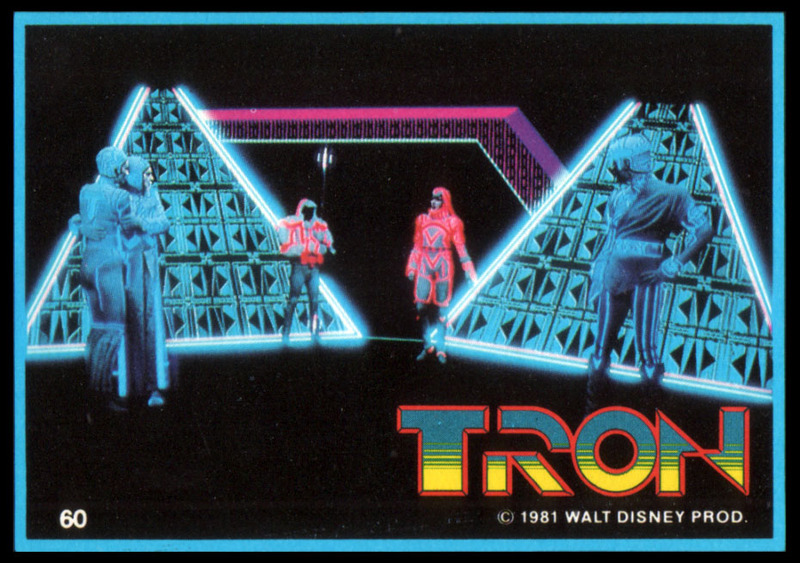 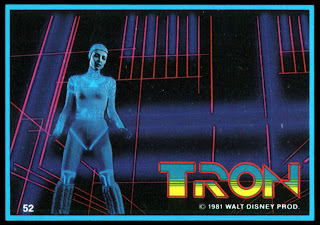 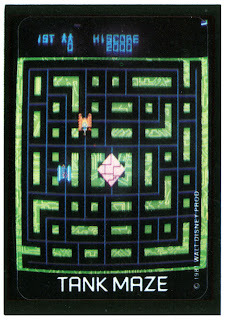 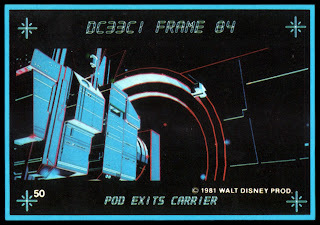 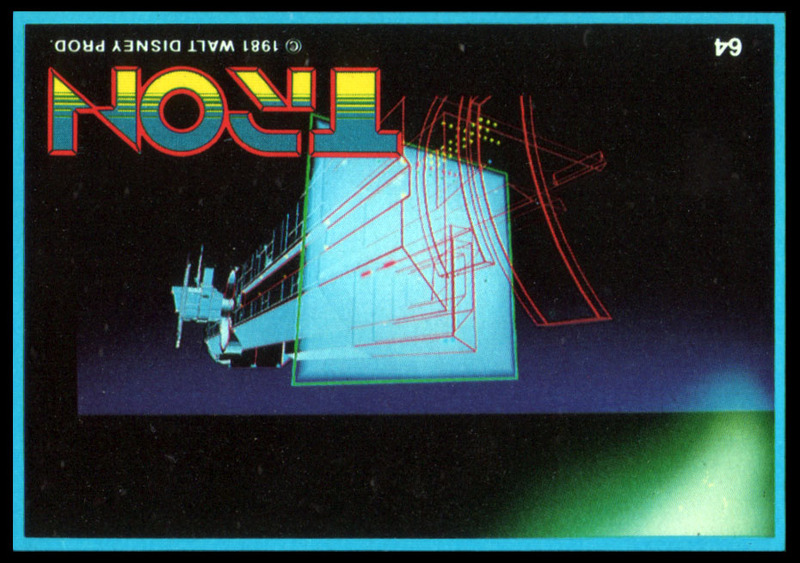 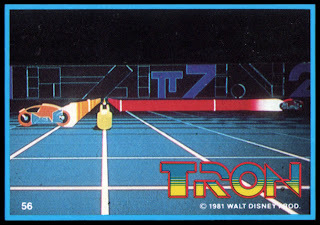 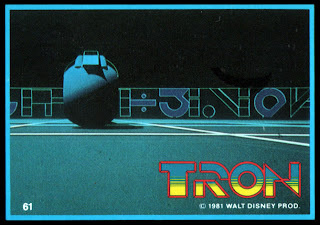 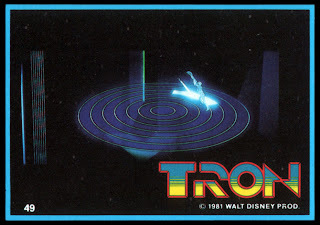 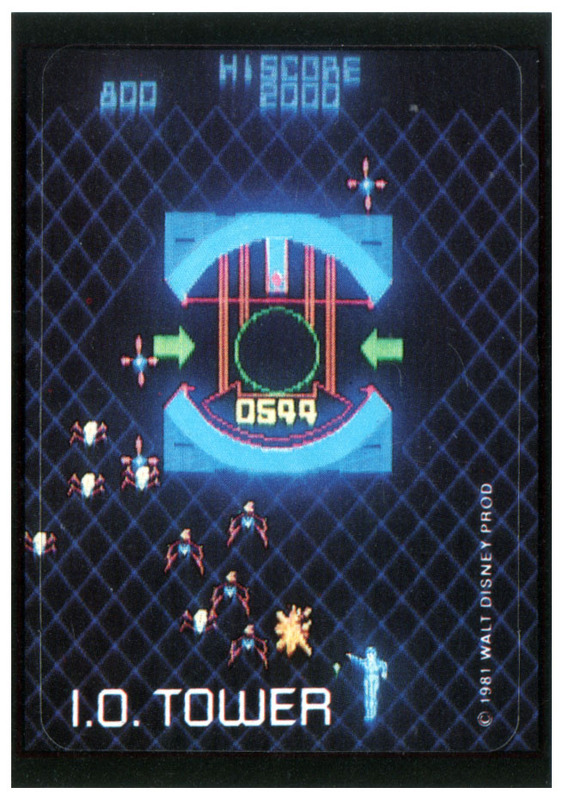 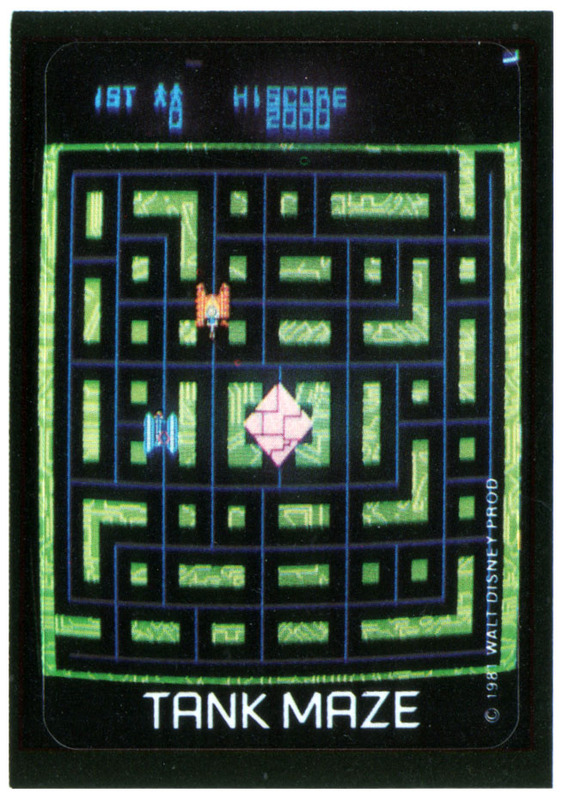 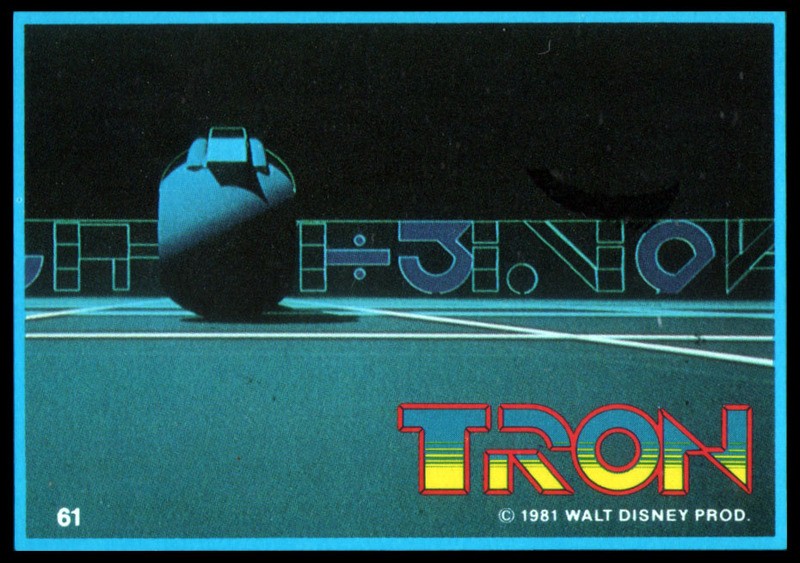 Every pack of Tron cards included a sticker, this one features the Tank Maze from the Tron video game. "Building Steam", my latest Anime Music Video will be debuting in the AMV contests at Fanime and Animazement this weekend. 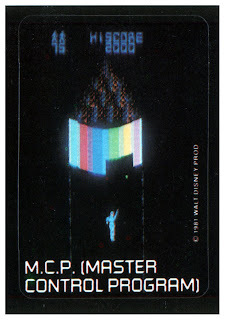 It will also be shown at AnimeNext in early June. 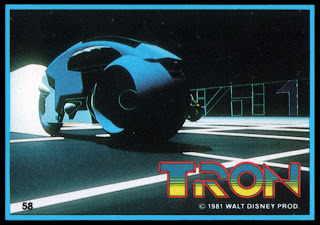 I'm still waiting to hear if it is a finalist at Anime Expo. 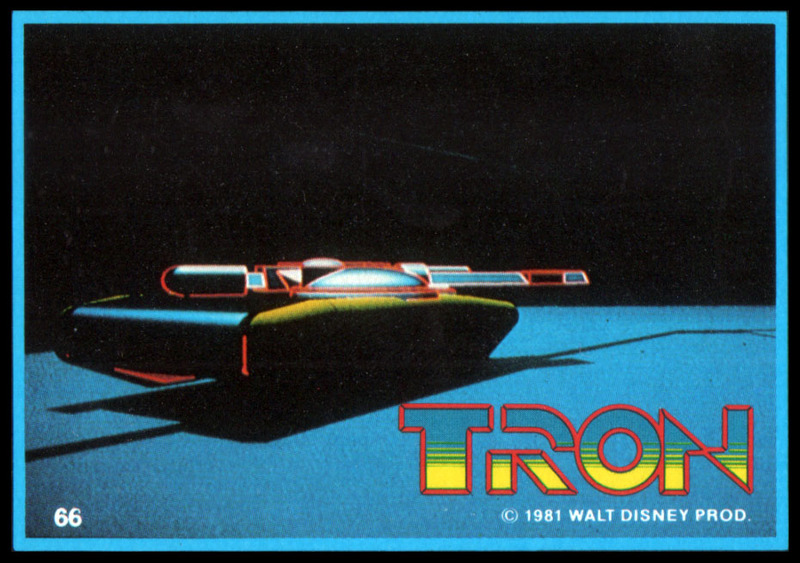 Tron #66, "Flynn regretted writing so many Tank games." 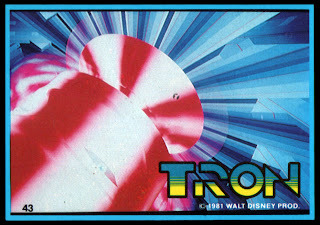 This is the 66th and last of the Tron Movie Cards, I still have a few things to share over the next few days, I hope you enjoyed them. 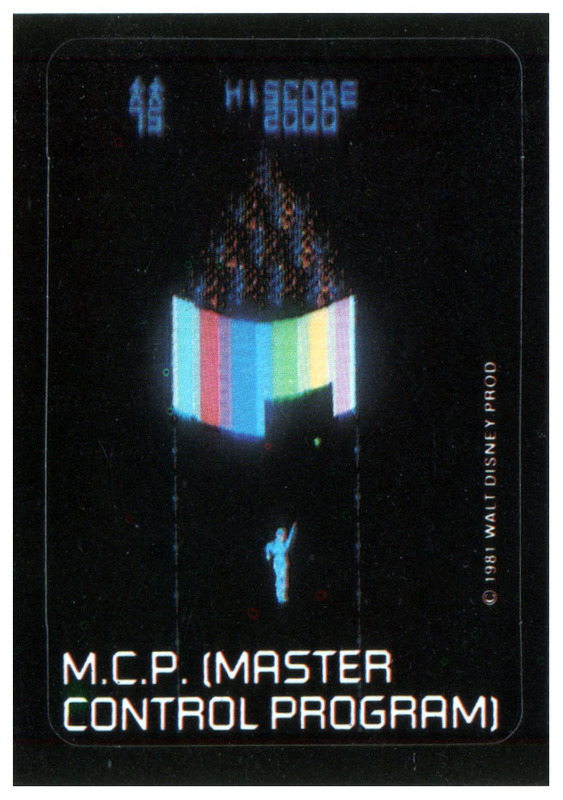 The artwork on this card was flipped as well. 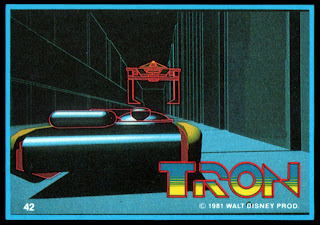 Tron #62, "Flynn and Yori aboard the de-rezed carrier." 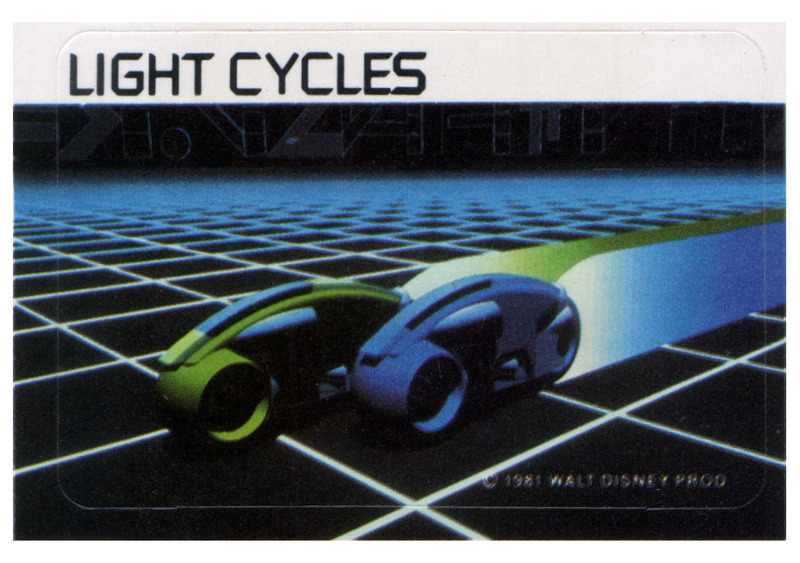 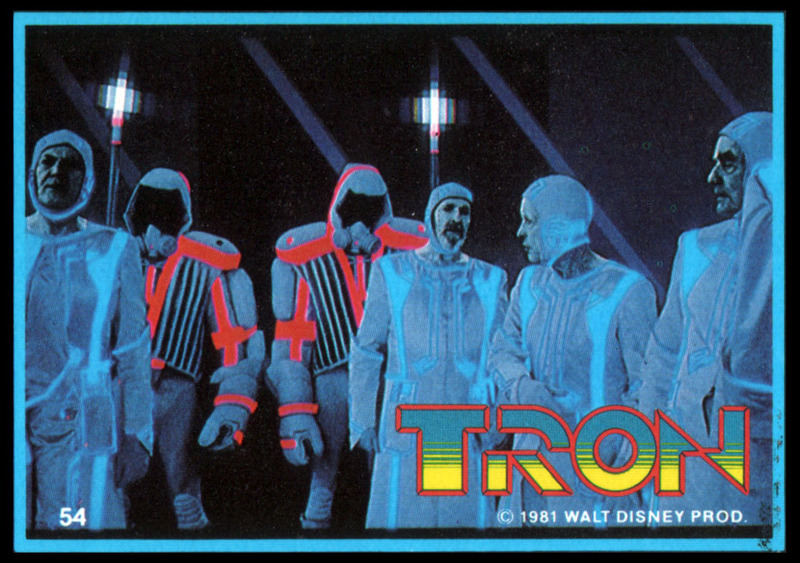 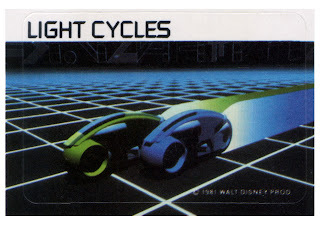 Tron #56, "Tron, Flynn and Ram split up on the light cycle grid." Tron #53, "A Tank pursuing Flynn, Tron and Ram emerges into the Canyon." 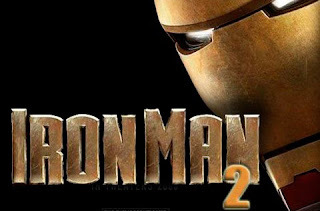 I saw Iron Man 2 last night and it didn't dissappoint. 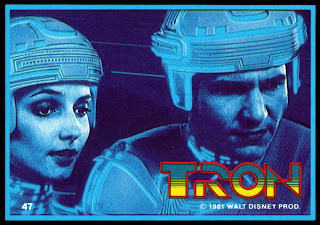 I won't rehash the reviews already online, but I will say I was pretty happy with this follow up to the first movie. It would be cool to get this poster, I wonder how hard they are to find? 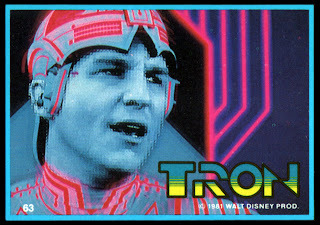 Tron #49, "Flynn misses a catch in his first match." Tron #46, "Tron and Yori sneak into the I/O Tower"
This is an odd angle, I think this is another case of the card picture being printed upside down. 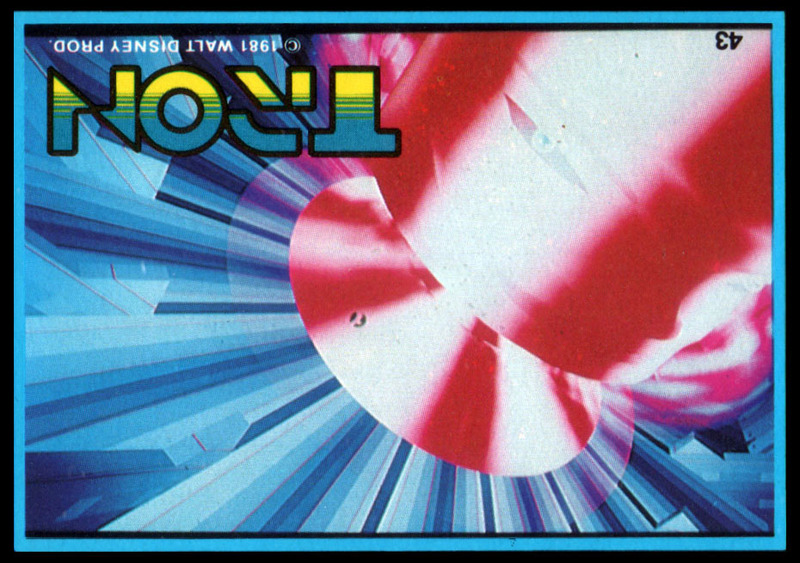 Below, the art is flipped, you can see what I think is the correct angle. 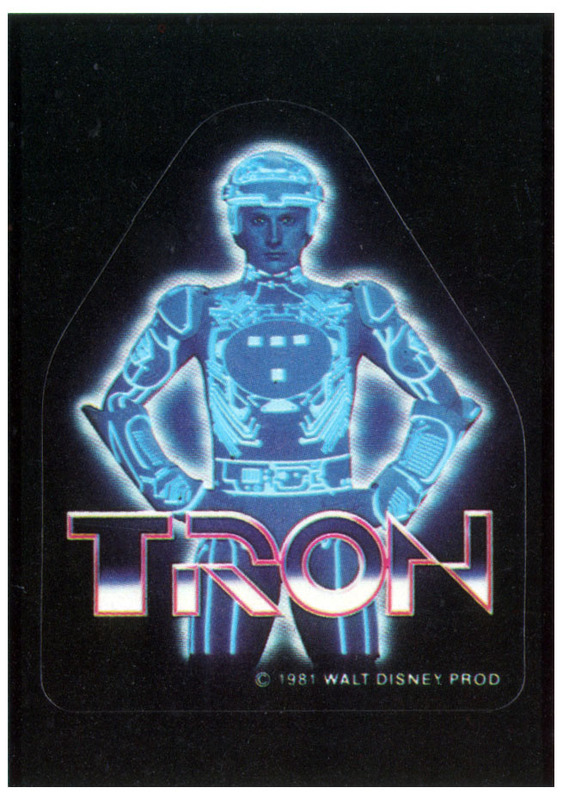 I wouldn't be surprised if the cards were laid out before the movie was released by someone who hadn't seen it yet.